But I know it happened and that’s all that matters! Here is how the tour went down (this is our fourth!). We get the list of stores carrying the line, then nail down the areas we want to visit. We were so fortunate to have Michaels host us, and iLoveToCreate, La Quinta, and Ford sponsor the whole thing. Ford hooked us up with wheels to drive across Cali and Texas, and La Quinta offered up the rooms. This is the first year I didn’t organize the route, and it is the first year that everything went SUPER smoothly, no backtracking or getting lost. I may be great at creative tasks, but planning directional logistics, not so much. The first three visits were in my homeland of AZ. Would you believe at the very same time, the ceramics convention was going on? I taught workshops and demoed at the conference, then zipped over each night to my Michaels appearance. I worked three 12-hours days all for the sake of craft! It’s La Vida Crafty and I love it!!!!! Then we were off to Nevada for our first appearance. When I say “our,” I mean that Patrick drove and Maya served as our buffer, helper, plus she had her own Vine followers to tend to. Naturally, the drive to Nevada took longer than expected, a couple wrong turns and I was 20-30 minutes LATE for my very first appearance. *Falls to knees and sobs* When Maya and I made it into the store, not only were we flustered, but not to mention, the Michaels staff. Eeee gads. I walked in to find a crowd of people waiting for me. At first I wanted to cry from being late, but then when I saw all the warm, smiling faces of the crowd, my heart melted. Crafty people are so forgiving. They totally understood my delay, hugged me, and really cheered me up. They made me feel right at home. I think my hands were shaking the entire time from all the excitement and drama. OH! And just before I got there, who did I bump into? Sugar Ray Leonard! So I was able to snap a picture with him! After Vegas, we had a week in California! Victorville, Ventura, Whittier and San Diego were our stops! 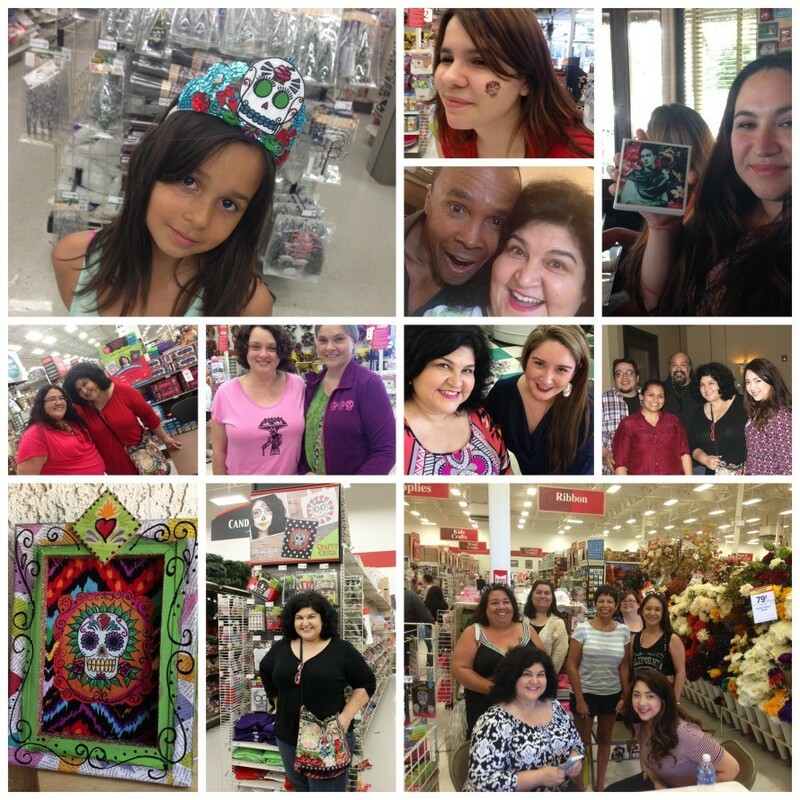 We had really great crowds at each Michaels visit, not to mention the Michaels staff at each store! They were so kind and hospitable. They announced my appearance every few minutes while I was there. 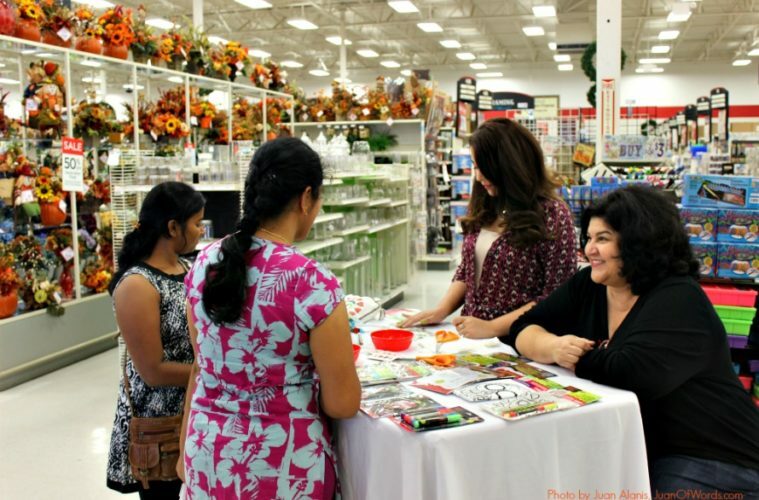 It was exciting to see people shop from the end cap and even more exciting for them to comeback and chat with me. I literally had to take a deep breath at the end of each visit to process the kindness and support that everyone offered! 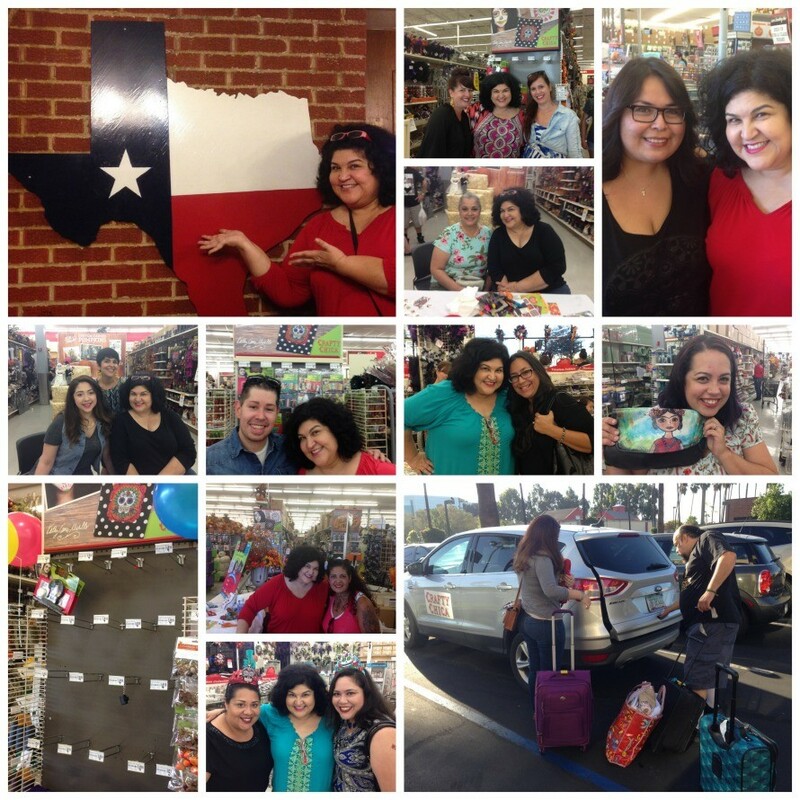 We came home for a couple days and then headed off to TEXAS! We did Austin, San Antonio, Houston and Dallas. I’ve been to Texas before, but not on a road trip. I was nervous, it seemed so far away. But each store had a “host” to greet us and make sure we were set. These hosts sure set us up in style. They rallied the crowds and we all got to hang out together afterwards! I don’t know what is in store for the Crafty Chica product line. I never know until the powers that be let me know if it is time to design a new round of products. It’s like that for any artist – whether you are a singer with a record deal, an actor with a movie, etc. All I know is that I am living in the moment and soaking up every second of this wonderful experience! 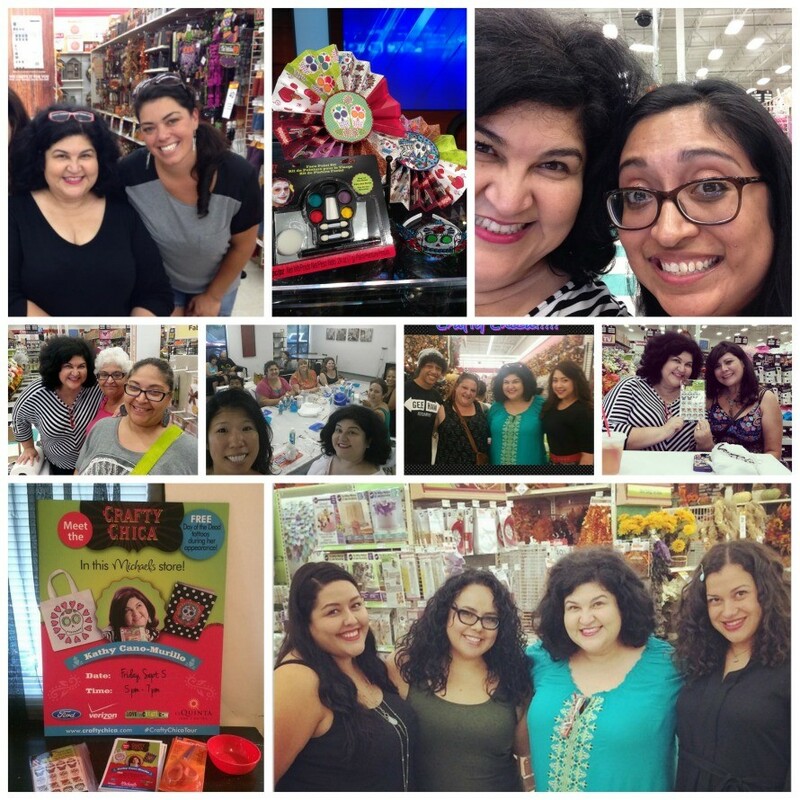 This tour went above and beyond selling or promoting product, it allowed me to meet blog readers, fellow crafty chicas (and chicos!) and meet all kinds of new people too. It gave me precious time to spend with Patrick and Maya. And even DeAngelo by phone and email (he watched the house for us). So….THANK YOU!!!! 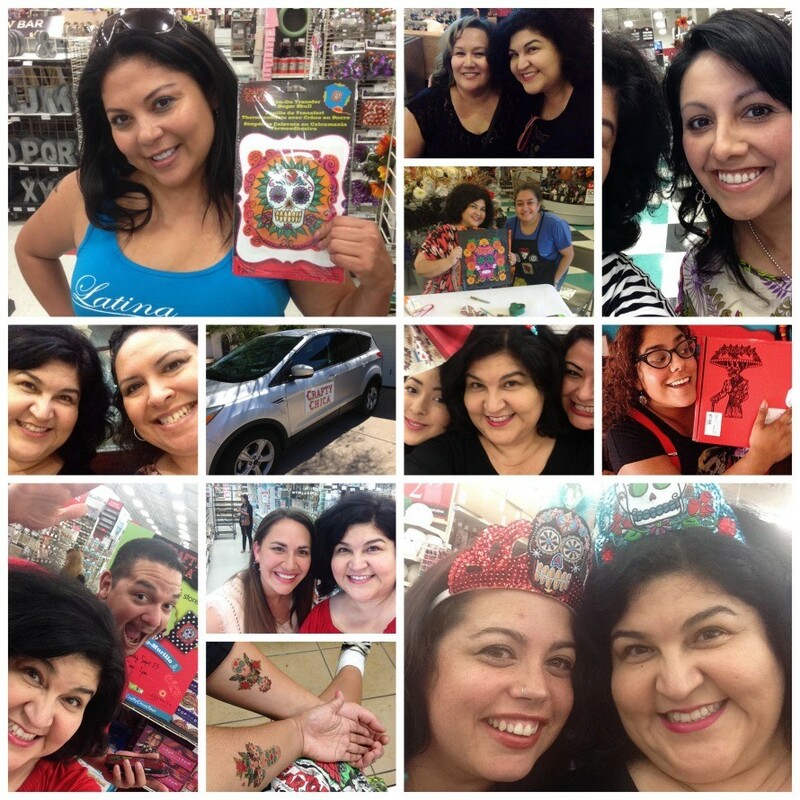 I promise to pay it forward by coming up with more fun, crafty ideas, recipes and so on! While on the road, we did a LOT of social networking and picture sharing. As a Verizon Influencer, I thought I would share my tips for traveling cyberbugs! 1. Seek wi-fi! Set your smartphone, iPad or laptop to wi-fi mode so you won’t use your data plan. You’d be surprised how many places offer free wi-fi. 2. Save your picture uploadings for wi-fi. If you are in a place where there isn’t wi-fi and you have slow service, save that post until you get to a faster place. You don’t want to drain your battery! 3. Set a hashtag for your trip! Use it, that way friends and family can follow along with your adventures! You can evenmake little cards with the hashtag and all your network handles for meeting new people! 4. Research your route. Pinpoint interesting places to stop and take photos. We passed three different alien-themed coffeeshops on our way out of Nevada! 5. Tweet to eateries or businesses you visited and liked. That way you will show support and turn on other people to visiting those places too! 6. Take a lot of pictures! you can edit them and chose the best ones on the drive! 7. Tag artists! If you buy or take a picture of an artist’s work or product along the way, tag them in the photo, let them know you were there! It will mean so much! And if you buy something from an artist’s product line, tweet or tag the store and tell them thank you for carrying that line. It may look fun, easy and glamorous to have a product line in a store, but it is actually VERY difficult to maintain. Any support is highly appreciated! xoxo!! 8. Bring an extra charger, as well as a portable charger. Do you have any social media road trip tips? Great tips! Especially about using WIFI. It looks like you had a total blast from all the pictures. I was in Michael’s the other day and I saw your products. The display looked great! Keep up the great work! Kathy, thanks for all your great info.I love to get email from you!